This year while at the AABHE Leadership and Mentoring Institute (LMI) held at Texas Southern University (Houston, TX), the question was asked: “Should I take on an administrative role in an interim capacity?” There may come a time in your professional career that you will be asked to consider taking on an administrative role in an interim capacity. As always at LMI, this idea was bantered around much throughout the week, as many LMI faculty, staff, and participants offered insight on the matter. For some, an interim position may allow those ready to retire an opportunity to use their many years of experience in a new role with little to no impact on their career plans. 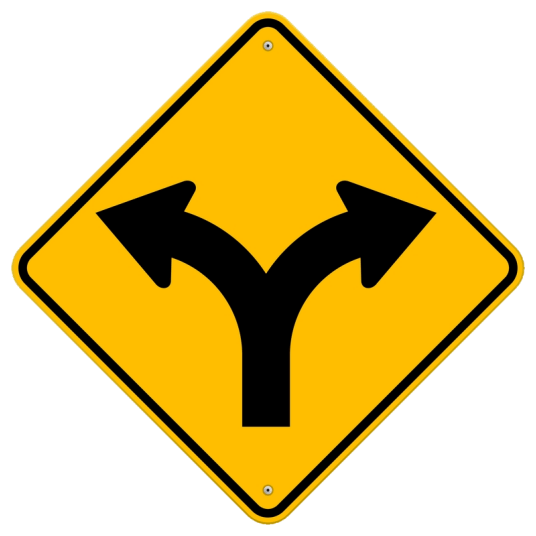 For others, this decision can become the proverbial “fork in the road” in which their career trajectory is supported and enhanced, or their career trajectory is derailed. Thus, the decision “to interim or not” is quite serious. In making this decision, there are many questions to consider, but here are a few you will need to consider. What are the responsibilities and parameters of the positions? As you consider the interim position, you will need to know the specific job description. 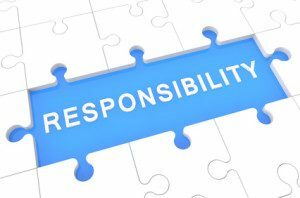 Are you responsible for all aspects of the position or an amended version of the position? This includes being clear about the reporting lines: who will report to you and who will you report to. Also, knowing your supervisor’s expectations will help you in determining if this is a good next fit for you. Although there are always surprises, it is good to have the supervisor explain to you the goals for the unit under his/her leadership, benchmarks, strengths and opportunities, as well as challenges and threats affiliated with the unit. Also, conduct your own assessment about the current state of the unit and your perceptions of its strengths and opportunities and weaknesses and threats. Sometimes, things look different when you are standing on the balcony then do when you are standing in the courtyard. Having both perspectives will be invaluable. You will have a better understanding of what is going on within the unit, determine if you are both on the same page, and if you have the skillset to address those issues. According to Nasser (2011), it is best to find out where the quicksand lies before you step in it. Additionally, understand your role and purpose, especially as it relates to the unit’s or organization’s goals, benchmarks, strengths and opportunities, and challenges and threats. Nasser (2011) suggested that you determine, up front, if you are the focal point for a well-performing organization, are you expected to maintain peace, are you supposed to whip the team into shape, or are you expected to discover core problems of the organizations and make recommendations? Determining if you are expected to perform all of your current regular duties or some amended version of your regular duties in addition to the new responsibilities. It is important to understand the performance assessment metrics and procedures affiliated with the interim position and any responsibilities remaining from your “old” position. In addition to position responsibilities, ask about the length of the interim position, any opportunities for extensions or if the interim position can translate into a permanent position. Depending on your career aspirations, this will be crucial information. Ordinarily, interim assignments last between six to eighteen months (Shellenbarger, 2016). So, Vaillancourt (2018) recommends establishing a check-in date for you to be able to determine the progress of a final decision being made about either a permanent position assignment or a job search. Whether it is a temporary assignment or a precursor to a permanent position, determine the best way to document your newly gained skills on your resume or vitae. If you do not move into the permanent position, be prepared to explain to future hiring committees why you did not move into the permanent position (voluntarily or involuntarily). What types of resources and support will be available to you to carry out your new duties? Once you have a clear understanding of the responsibilities and parameters of the interim position, determine what resources and support are available to you to carry out those new duties. You will need to know if you will be given any administrative support, graduate assistants, student workers, equipment, professional development, etc. Furthermore, inquire about onboarding support– how much and for how long—that will be provided to increase your chances of success.. Remember, you will need to continuously assess the changing expectations, knowledge, and understandings of the position as you consider taking on this new responsibility. In many situations, you have to hit the ground running which leaves little time for growing into a (Lawrence, 2016), so understanding the resources and support available to you will help you make a more informed decision. How will you be compensated? Once you have a clear understanding of the responsibilities and parameters, as well as the resources and support to carry out those responsibilities, determine if the compensation is commensurate with the expected job responsibilities. To determine if the salary is a good match, research salaries for the permanent position and other interim positions within the unit comparable to the position you are being offered. Using historical data from within the unit will give you the best estimated compensation ruler since that is often used in determining terms of compensation. For example, it is not likely that you will get an additional $50,000.00 to bring your salary up to that of the same position at a peer institution if historically, the unit has only offered $30,000.00 for interim’s in that position. Having that knowledge allows you make the best decision, especially as it relates to your financial needs. If you are unable to get the salary you want, you may want to consider asking for additional financial support for travel or professional development or your home department or unit, or you may ask for placement on a particular committee or to be removed from a particular committee (Vaillancourt, 2018). These things may help you to reach other professional goals. What is in it for you? In many ways, an interim position is an opportunity to earn more money, demonstrate the skills required for the permanent position, or gain prestige and power. By virtue of being in this position, you are likely to gain new connections, greater visibility, advance new ideas, and administrative experience (Vaillancourt, 2018). However, it can also be risky. It could be challenging because persons in interim positions sometimes lack the authority to make lasting change, are overly scrutinized, are not be taken seriously, and are only seen as a stand-in (Shellengbarger, 2016; Vaillancourt, 2018). That being said, it may be difficult to operate in the same ways as if the position were permanent, which may be limiting to you and you will need to know this up front. So, you want to make sure that you have a list of skills and experiences in which you are seeking to gain more experience. Some positions may allow for this skill development with little to no challenges while others may be ripe with challenges. Therefore, determine if you are willing to add experiences as key skills to your resume/vitae (such as managing conflict, low morale, uncertainty, role ambiguity, shortfalls in the budget, experience with university counsel, etc). Sometimes, you get exactly what you bargained for and other times, not so much. What happens if this does not work out for you? In the event, you accept the interim position, and you return to your previous position (voluntarily or involuntarily), you will need to understand the transition process (what and how this will occur). Sometimes, in being away from your position, you will need time to become reacclimated. Therefore, ask if there will be any transitional support for you, especially if you have stepped away from your scholarship or other primary administrative responsibilities to fulfill this obligation. This may include professional development, course release, time off, graduate assistant, student workers, administrative support, etc. Also, there is also the lure of power affiliated with the interim position (real or perceived). You have to ask yourself, “Can you live with having to return to the lower ranks once the assignment ends?” For many, this is very uncomfortable because instead of leading, you are now following again. This may upset your routine and may make you miserable (Vaillancourt, 2018). Since there is a possibility of returning to your previous position, be honest with yourself, especially, if the interim position requires that you make long-lasting decisions that may not be viewed unfavorably among your colleagues. Persons may hold on to unresolved issues and/or disagreements which may make returning to the ranks difficult. How will you be prepared to handle that? Do you have a plan in place in the event returning to your old position is no longer an option? It is worth consideration because taking on the interim role may lead to your having to leave the unit or organization sooner than you anticipated. How will taking on this new role impact your personal and/or family life? Professional experience and monetary gain should never be the only factors taken into consideration when weighing options of whether or not to accept a new role (interim or not). 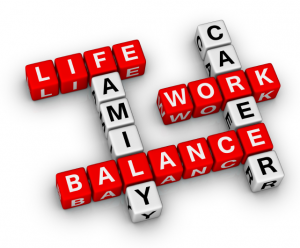 You should also consider how this new position will impact your personal and/or family life. If the interim will be considerably more time consuming than your previous positon, assess how this will impact your family, friends, and other non-work obligations. It is important to seek input and feedback from immediate family members or others who will be directly impacted. This may include not being able to attend certain events, less time at home, having an unpredictable schedule, requiring more wind-down time, unable to take care of duties around the house, etc. If you accept the position and things go well, they will be your cheering squad pushing you to continue to do great things. If things do not go well, they will be persons whose ears you will need to hear you vent. If you are being considered for an interim position in academia, you probably have already asked yourself these questions. Now, you just have to consider your answers. You need to write out your answers and say them aloud. Remember, you are in control of career trajectory. Also, take pride in the fact that you were considered for the interim position, whether you take or not.